New information on the upcoming Shadow of the Colossus port is out now, including a timeline for the game’s PlayStation 4 debut. PS4 Pro owners with a fondness for Team Ico’s beloved action-adventure even have something extra to look forward to when Shadow of the Colossus returns in 2018. Several minutes of new Shadow of the Colossus gameplay debuted during Sony’s Paris Games Week showcase. The publisher also released a new trailer for the game, featuring snippets of footage from areas scattered across the in-game map. The new trailer isn’t nearly as exciting as the stage demo, which showed the protagonist scaling one of the game’s handful of airborne colossi. But the promotional video does highlight the improved landscapes, all of which can be seen in glorious 4K when Shadow of the Colossus hits PS4. A document published after Sony’s Paris Games Week presentation confirms SotC even achieves 1080p60 excellence on PS4 Pro, if you’re willing to part with those 4K textures. Sony’s Paris Games Week presentation also delivered a launch date for the highly-anticipated Shadow of the Colossus port. According to Sony, SotC will hit PS4 early next year, joining a list of major releases (including Dragon Ball FighterZ and Ni No Kuni 2: Revenant Kingdom) slated for Q1 2018. Now we just have to hope the game doesn’t see any last-minute delays. Shadow of the Colossus isn’t new, far from it at this point, but it’s still arguably one of the best games the industry ever produced. And there aren’t many upcoming games we’re more excited about. For an early look at Shadow of the Colossus, including one of the many gargantuan creatures we’ll face off against when the game hits PS4, check out the Paris Games Week trailer that debuted on Monday. Then head down to the comments and let us know if you’re excited about the upcoming Shadow of the Colossus port. 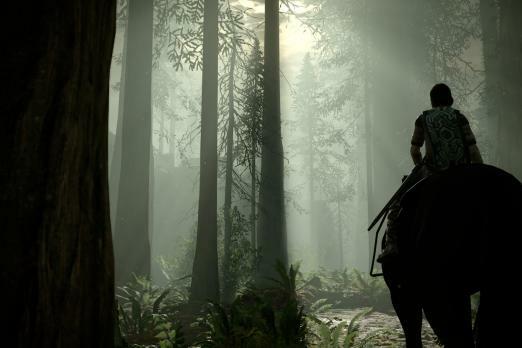 Shadow of the Colossus is in development for PlayStation 4. The remaster debuts Feb. 6, 2018. Be sure to check back with Player.One and follow Scott on Twitter for additional Shadow of the Colossus news in 2017 and however long Sony supports Shadow of the Colossus after launch.